Seen by many residents as a ‘no-g0’ area, especially at night, Chignell Place was raided yet again by police on Monday. Some arrests were made and drugs found. Chignell Place has long had a bad reputation locally for crime and anti-social behaviour. There have been stories of people painting out the yellow lines so they can park their cars there. Also, stories of traffic enforcement officers fearing to go there. 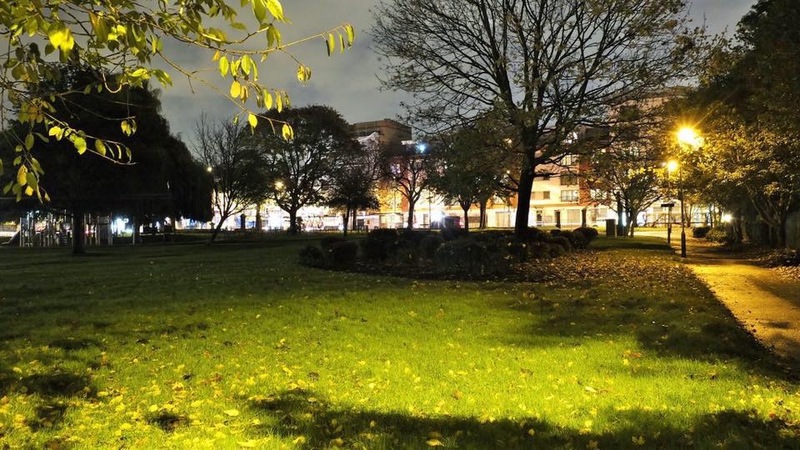 Anecdotally, it’s also where groups of young men gather late night before heading off to Melbourne Ave and Dean Gardens where there are regular outbreaks of violence and anti-social behaviour. All in all, a pocket of trouble and this is the second major police raid in a year. One radical solution has been proposed by West Ealing Centre Neighbourhood Forum which is to put a pedestrian route through to the West London Islamic Centre and Singapore Road. Full details are on page 31 on their draft neighbourhood plan. What would you suggest to sort out this problem cul-de-sac, which in most other parts of London would be a premium site? The idea of allowing delivery vehicles to access Lidl’s, O’Grady Court and now the new hotel via the library car park has been around for at least six years. Finally, it looks like work will start on this early May. The plans are to make the section of Melbourne Ave in front of the library and Sainsbury’s fully pedestrianised by giving delivery lorries etc access to Lidl’s, O’Grady Court and the new hotel through the library car park so they no longer need to drive along Canberra Road by the side of Sainsbury’s and cross over Melbourne Ave. This makes it much safer for everyone and will cut out the damage to the paving stones by done heavy delivery lorries. As part of these plans there will also be barriers of some sort across the junctions of Melbourne Ave and Canberra Road to ensure no vehicles can cross over by mistake. This has taken a long. long time but is welcome. It makes good sense to keep pedestrians and vehicles separate. 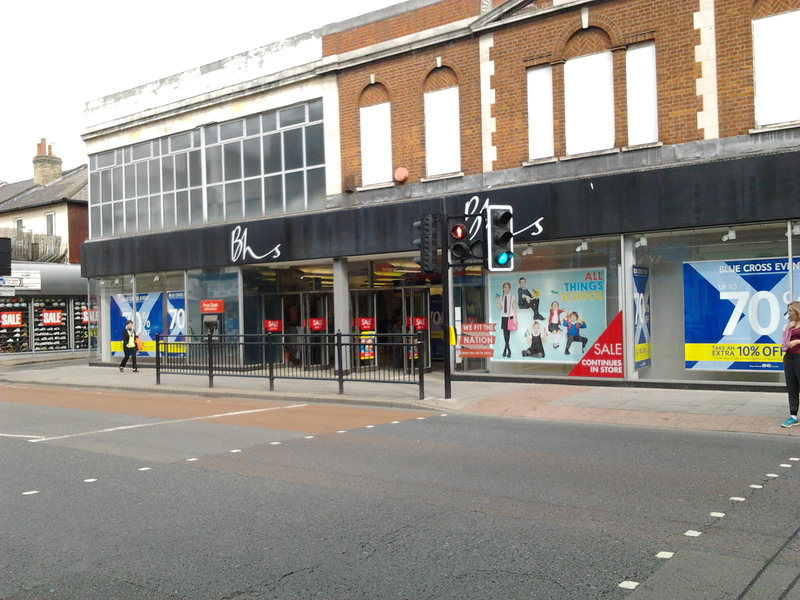 Good news for everyone who shops at BHS in West Ealing. It seems the shop will stay open for the rest of the year as the developers, Southern Grove, have delayed their plans to build 136 or so homes on this site. Mind you, all this may change with the threat of BHS going in to administration. I’ll update the story if I can find out why there’s a delay. This sad looking row of houses on the corner of the Uxbridge Road and Shirley Gardens had been let to go to ruin but, at last, work has started on their demolition. The original plans for homes on this site were totally out of keeping with the rest of this terrace but thankfully the plans that were agreed by the Council are much more sympathetic. Why on earth has it taken so long? Just take a few minutes out of your Saturday morning shop to drop by and support a good cause and enjoy a piece of cake.